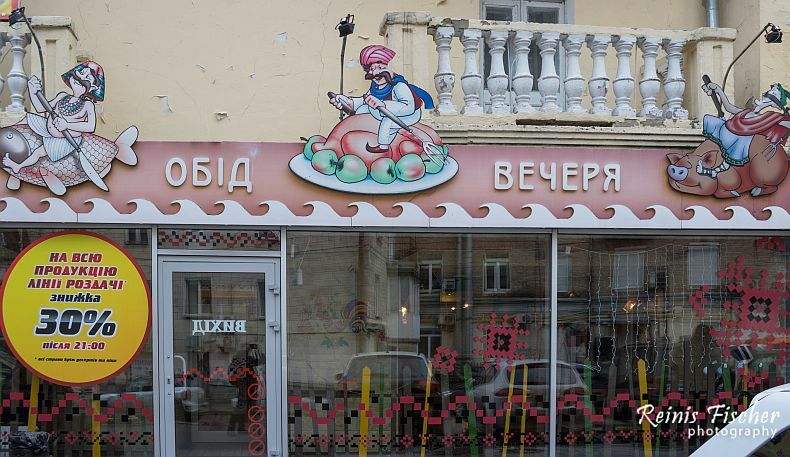 Wow, my first (yet, only one) Kiev restaurant review and I can't remember name of this place. Seemed very Ukrainian for us and we decided to enter. This was a good choice. 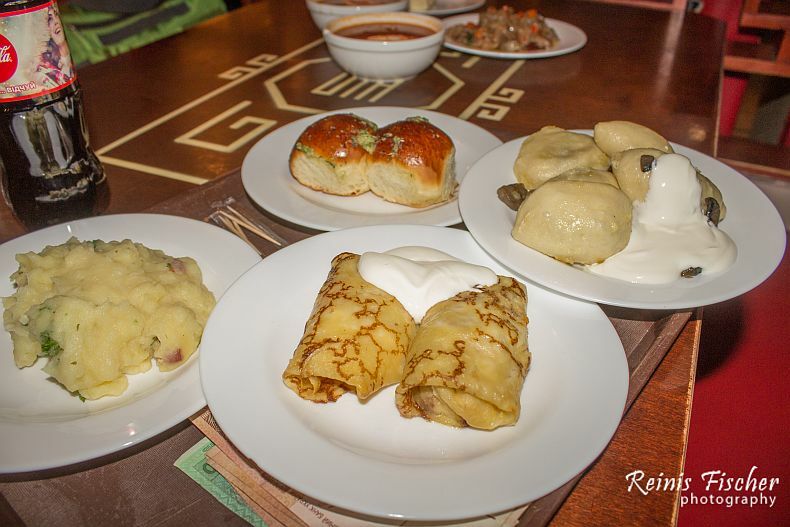 Mmm, the stuff I like and often feature at food blogger series - pancakes, dumplings, mashed potatoes. Yummy. Excellent place, sad I can't remember the name. But you can help me. Do you know this place? Leave a comment! I doubt we spent even USD 10 here for two person meal. Highly recommend!